Make the best of your nuts. 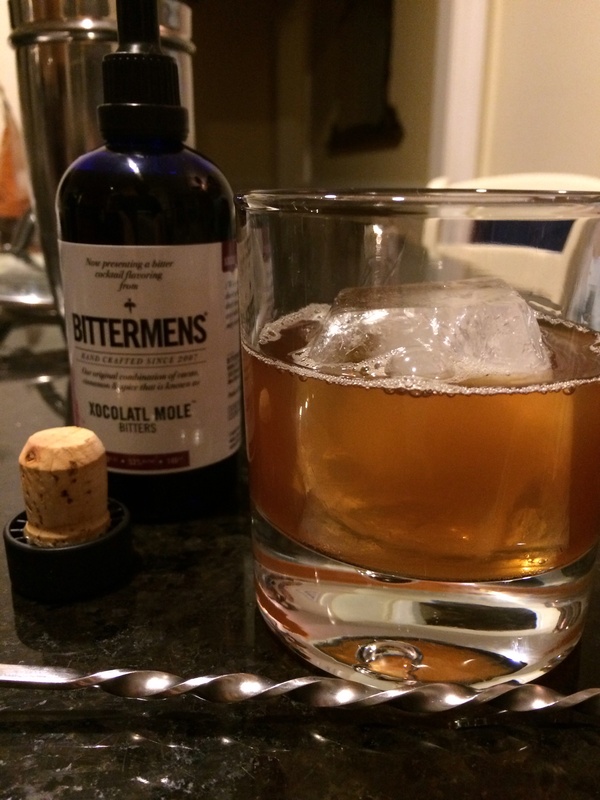 Place the sugar, bourbon, and bitters in a shaker with cracked ice. Stir and strain over fresh ice in a rocks glass. Soak your pecans in filtered water for 45 minutes. Strain. Lay flat on a parchment lined baking sheet. Lightly sprinkle with salt and pepper. Bake the pecans at 350 degrees until they turn a rich toasty color, about 15 minutes. Let cool. Divide the roasted pecans evenly among two clean mason jars and top with the bourbon. Shake. Store the mixture for one week, shaking them once per day. Use the coffee filters to strain the bourbon mixture. You may need to change the filter a few times throughout the process. Pour into your desired bottle and enjoy. Save your nuts, we’re using them next! When saving the pecans from the bourbon, it was no surprise that the saturated nuts were pungent from their seven-day bender. To subdue the bite of the alcohol, I toasted the pecans at 250 degrees for 15 minutes. Slightly damp, the finished flavor was robust, perfect for consumption. I’ve been baking this same pie (sans bourbon) for 30 years; I use a pinch of this and a scoop of that. I pulled out my yellowed and stained recipe card to share the exact quantities with you. First the pie crust; I prefer the Vodka Pie Crust from Cook’s Illustrated. Once I used this one, I never looked back. Using a 9″ in pan pre-bake your crust, just lightly. Mix all but the pecans until blended. Throw in pecans and toss until they’re covered in the sugar mixture. Pour into a your pie crust and bake for 60 minutes at 350. If the edges of the crust are getting too dark, wrap them in foil. Let cool for 2 hours. is there a reason you bake your own pecans? why not just use store bought roasted pecans? They are store bought, lightly toasting them with a little seasoning gives them a heartier flavor.